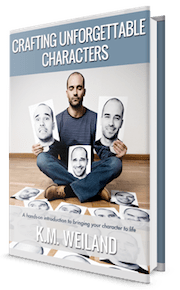 You may have a great plot and a great protagonist, but without an equally great antagonist, you’re going to be stuck spinning your story’s wheels. That’s no problem. Just stick in a great bad guy! But what happens when even that’s not enough? Sometimes your story is going to require not just one, but multiple antagonists. How do you juggle them all? How do you keep them from becoming redundant to the conflict? And how do you make sure each antagonist’s addition to the story makes it all the better? Welcome to the sixth installment in our month-long series, inspired by writing techniques I learned or had reinforced for me while writing my dieselpunk novel Storming (releasing December 4th). As you can probably deduce, I ended up using (drumroll!) multiple antagonists in Storming. Don’t get me wrong. This isn’t something new for me in this book. Almost all of my stories (especially Behold the Dawn) have featured layers of antagonists. But Storming was fun since its plot challenged me to include a more varied cast of antagonists than usual, which in turn allowed me to layer the conflict in personal ways for the barnstorming pilot protagonist. This is one of those stories in which the primary plot mover—the Big Bad—was off-screen for much of the story, both for practical reasons and to facilitate some important mysteries. This opened up some really delicious opportunities for other antagonists to step up in his stead and interfere with the protagonist in different ways, while still keeping the conflict hopping. Today, we’re going to take a look at the benefits (and drawbacks) of multiple antagonists, and how you can make sure you’re taking full advantage of them to keep your story running at full steam (or diesel!) ahead. First of all, remember: not all stories will require multiple antagonists. Sometimes the conflict will be better off if it’s straightforward and laser-focused, thanks to a singular opponent. But many stories will broaden in interesting and compelling ways with the addition of some creative antagonists. 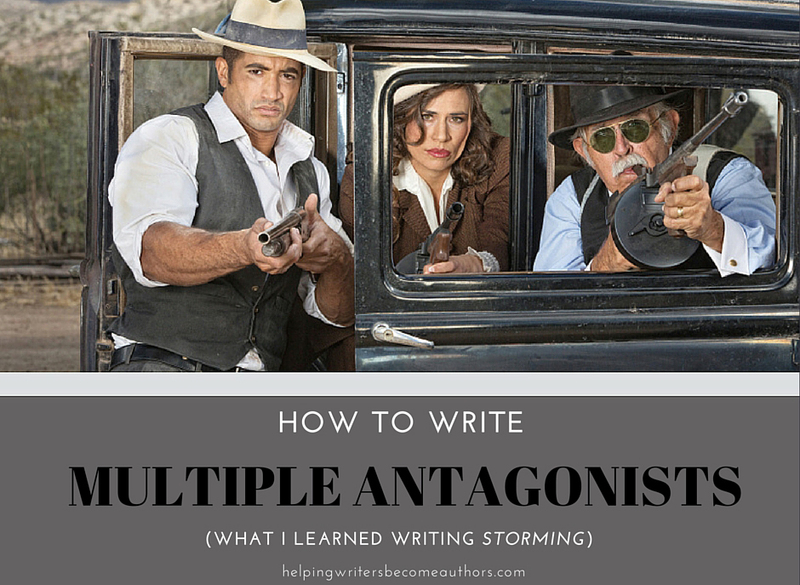 Multiple antagonists will ensure you have conflict happening on every level of your story. Like me in Storming, you may end up with a main antagonist who’s just too dangerous (or busy or imprisoned or presidential or something) to appear in every scene with your protagonist. This is your “Big Bad.” This is the antagonist who is opposing your protagonist’s main story goal. Sometimes, this conflict will start out as a relatively impersonal one. Your protagonist might not ever have come into contact with this antagonist, much less had a problem with him, if it weren’t for the story goal he conceives somewhere in the First Act. 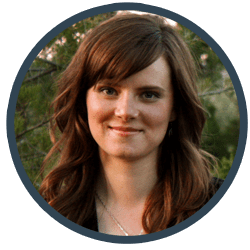 Especially when your plot-level antagonist’s relationship with your protagonist starts out relatively impersonal, you’ll want to make sure you’ve also included a layer of conflict that hits your protagonist on a more intimate level. In Storming, my main antagonist starts out very impersonal. He’s someone the protagonist has never heard of before and really doesn’t care about outside of his plot goals. So I also gave the protagonist a very personal and equally formidable antagonist in the form of a corrupt sheriff who has a dangerous hold over the protag thanks to backstory baggage. Even in scenes in which the main antagonist can’t be present, the personal antagonist can. Finally, we have internecine antagonists. These are people who are, at least ostensibly, on the protagonist’s side. But despite the goals they hold in common with the protagonist, internecine antagonists have agendas of their own that interfere with the protagonist’s main story goal. There were quite a few of these in Storming. The most obvious is a member of the protag’s barnstorming crew. They work together, but they have no love for each other, and they’re always getting in each other’s way. This is the obvious one. The antagonist is the Big Bad, the guy in direct opposition to the hero. Assuming your protag is on a positive or flat arc, the antagonist will either believe in or evolve into believing in the story’s Lie. He will help demonstrate theme in the ways he is similar to the protagonist. The contagonist is a ton of fun. Unlike the mentor archetype, who helps guide the protagonist down the right path, the contagonist tempts the protagonist onto the wrong path. He will often be someone who seems to be on the protagonist’s side, but who consciously or unconsciously leads him astray. The skeptic contrasts the supportive sidekick archetype. Unlike the sidekick, the skeptic is the voice of doom to the protagonist’s plans, introducing doubts and discouragement. Before we learn how to make the best use of multiple antagonists in a story, let’s first quickly mention two possible reasons you should avoid featuring multiple bad guys. Honestly, not many stories can stand upright under the burden of a cast of thousands. Tight stories are good stories. Streamline your cast. If you don’t need multiple antagonists, don’t include them. Always be on the watch for extraneous characters you can delete or combine. The best stories are like Swiss watches: not a single extra working part. Every antagonist you include should contribute to the main conflict. If your antagonists are opposing many different goals from your protagonist, then they will be creating multiple threads of conflict that won’t tie together in the end. Even with a broad, complex story, everything has to ultimately be working toward the same end–the same Climactic Moment. Alrighty, so with all that said, let’s go back to perhaps the most basic–but most important–question. When we think antagonist, we think mustache-swirling melodrama villain–or serial killer–or megalomaniacal dictator. Strictly speaking, those are “bad guys.” But they’re not, perforce, antagonists. An antagonist within a story is someone who creates conflict. And how does he create conflict? By presenting himself as an obstacle between the protagonist and his goal. As such, the antagonist doesn’t even have to be sentient. Obviously, however, most stories find their best expression in giving the protagonist an equally human nemesis. The important thing to remember is that this human doesn’t necessarily have to be evil. He just has to get in between the protagonist and whatever it is he wants/needs in the story. This all can get tricky when it comes to validating the necessity of each of your antagonists and then coordinating their efforts into a resonant overall conflict. 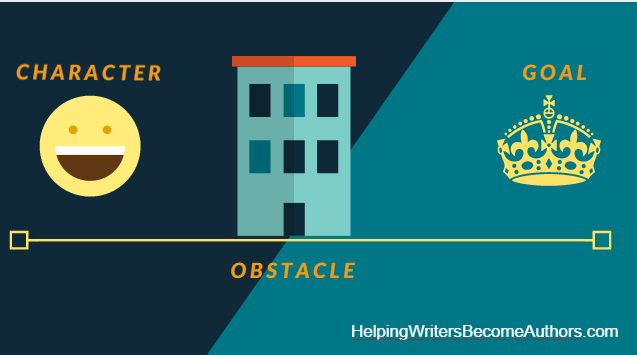 Fortunately, you can simplify these problems by making certain you’re checking off the following three necessities in your multiple-antagonist story. 1. Does Each Antagonist Have Unique Goals? If all your antagonists want the same thing for the same reason, then there’s zero reason for them all to coexist in the same story. Even when you’ve got sidekick antagonists carrying out the bidding of the main antagonist, each antagonist should have his own unique agenda, driven by his own personal motivations. The more your antagonists’ goals complement and particularly conflict with the other antagonists’ goals, the deeper and more layered your story will be. 2. Does Each Antagonist Oppose the Protagonist’s Main Goal? It’s fine to have antagonists who aren’t, strictly speaking, interested in your protagonist’s overall story goal one way or another. But even if they’re not deliberately trying to oppose your protagonist’s main story goal, their actions still need to be getting in the way of that main goal, either directly or indirectly. Otherwise, their presence and the conflict they’re creating is extraneous to the story and has no place within it. 3. Is Each Antagonist’s Contribution to the Conflict Thematically Resonant? Even in a story with deep and varied themes, all those themes need to coalesce into a single resonant motif. If your main conflict is all about loyalty to family, but one of the minor antagonistic conflicts is driving home a theme about opposing political graft, then that secondary conflict almost certainly isn’t closely related enough to your main conflict and theme. Its presence is going to fragment your story and weaken your story’s overall thematic message. Multiple antagonists have the ability to add lots of interesting layers and possibilities to your story. Make sure you’re using them judicously, and you’ll make your story that much better. Wordplayers, tell me your opinion! 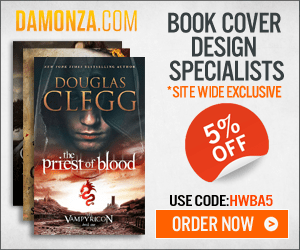 Have you used multiple antagonists in your work-in-progress? Why or why not? Tell me in the comments! I just came across this post while looking for helpful insights to improve my current WIP and it is everything I could’ve hoped for and then some. Concise, well written, and well organized. That said, I have a quick question. Is it possible (or even wise) to have two opposing plot-level antagonists? The characters I am considering would fall into diametrically opposite extremes: order/purity at any cost and chaos/corruption, and would struggle with each other as well as the protagonists over the primary point of conflict. Thematically, it definitely sounds interesting. However, your major consideration for whether it works or is simply too complex is how the two antagonists affect your protagonist’s character arc. Archetypally, the antagonist exists to represent the thematic Lie and to provide a mirror image of what the protagonist will become should he reject the story’s thematic Truth and accept that Lie. If your two antagonists represent different aspects of the same Lie, they will probably work. If, however, they’re representing different Lies, the plot is likely to become too fragmented. More the Lie here: reating Stunning Character Arcs, Pt. 2: The Lie Your Character Believes. Imagine a war that starts by accident (to make it simple, let’s call it a communication breakdown). Our protagonist is on a quest, after learning it was an accident (midpoint), to get to the other side and convince them to stand down, as HIS side, considerably weakened and nearly out of supplies, it going to have one more counterattack that will destroy everyone–no one will “win”. His side, and bad elements from the other side (remember, this war started by accident) both are trying to stop our protagonist from getting to his goal, the commander of the other side, who has the power to stand down. Who is the protagonist? The other side’s bad guys seeking revenge and caught up in a major mess caused by our own trigger happy troops, or our leadership, trying to stop the protagonist from getting to the other side period? IOW, a war has started, the protagonist has the key to stopping armageddon, but both sides have elements that want to stop the protagonist. Is it both, or one or the other, and the other is a subplot? Which is the main conflict and which is the protagonist is ultimately your choice. But whichever you choose to focus on, make sure that the story’s structure bears out that choice at every turning point.